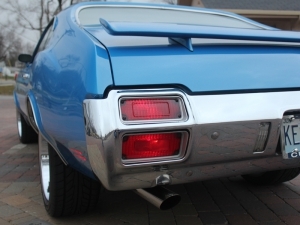 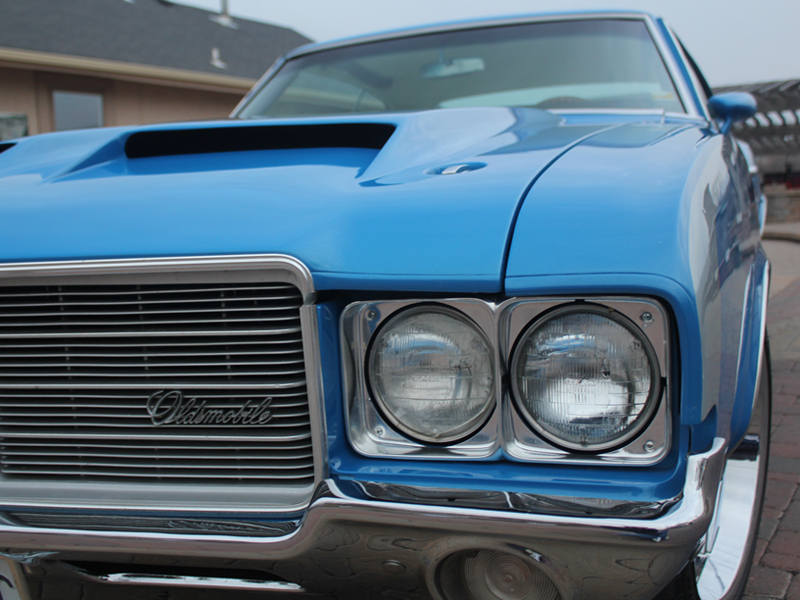 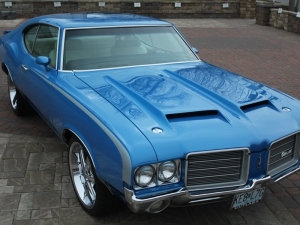 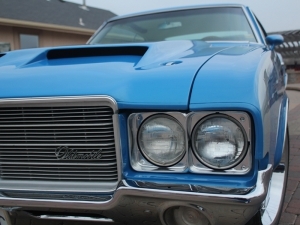 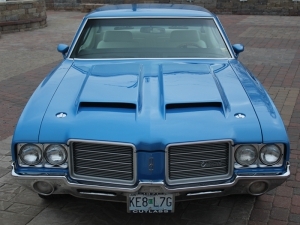 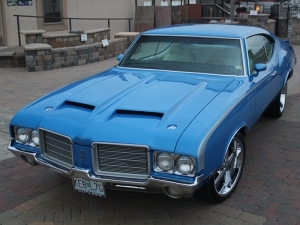 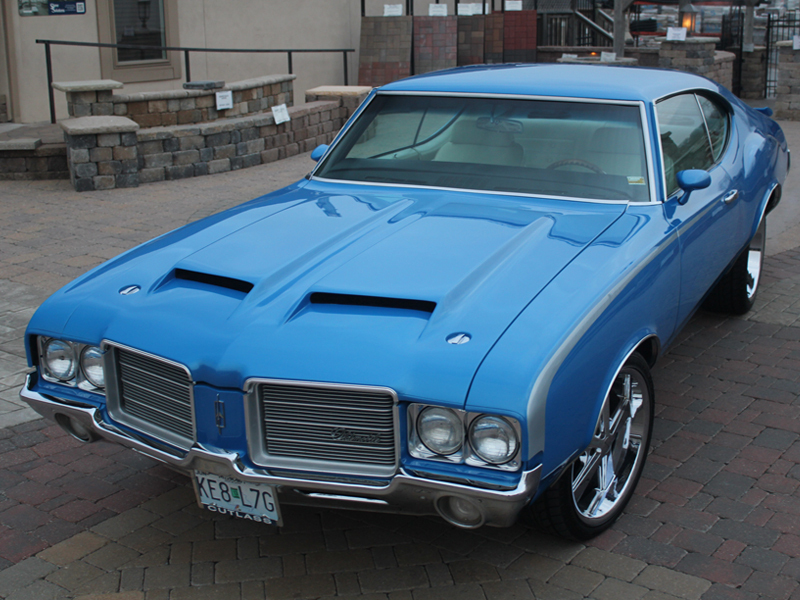 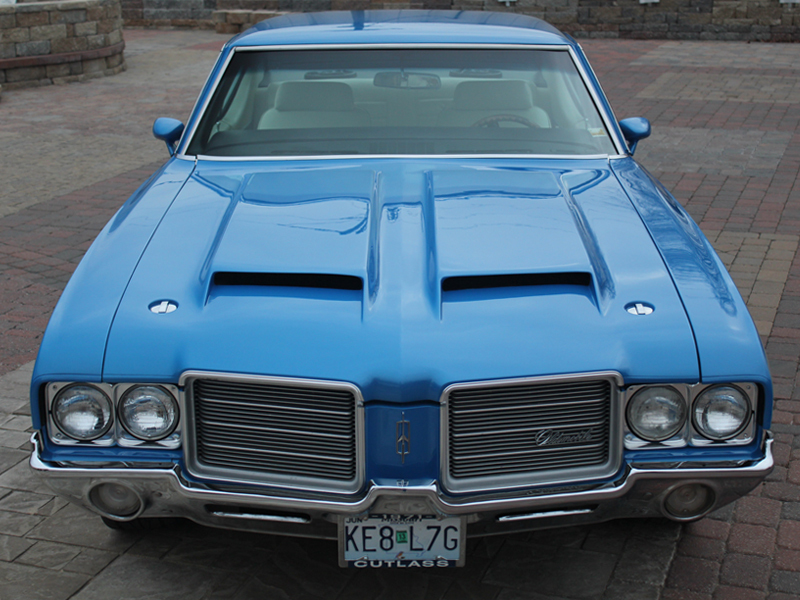 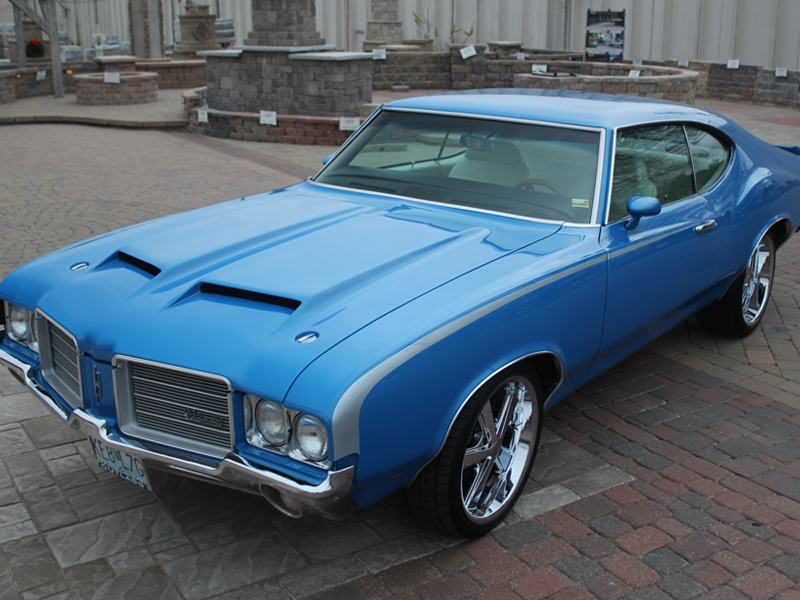 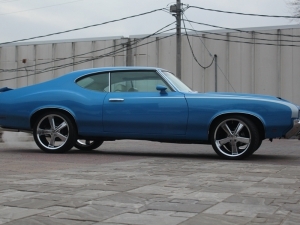 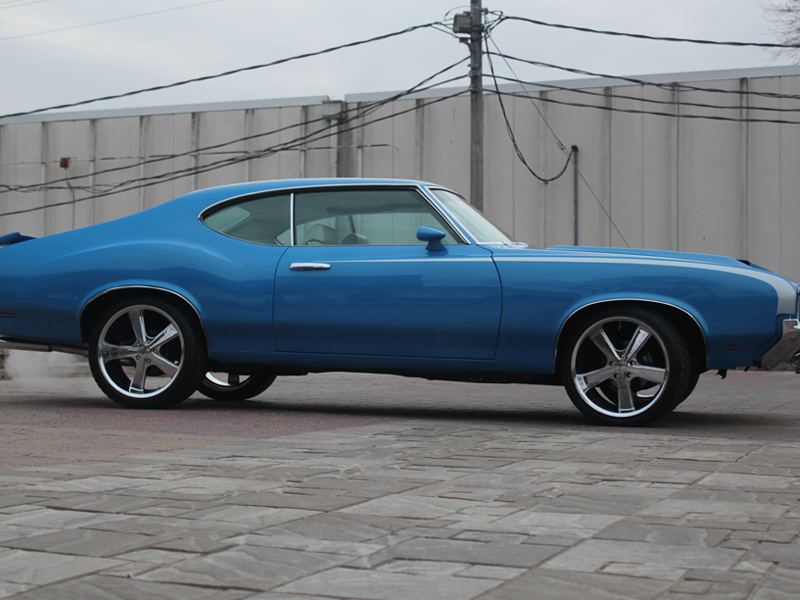 You’re looking at a beautiful 1971 Cutlass S tribute 442. A bumper to bumper on frame restoration. 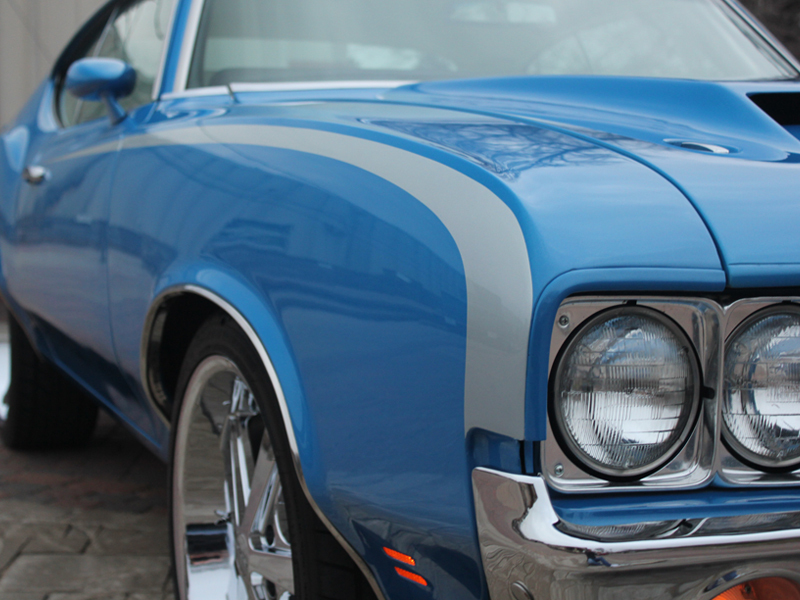 Painted Lamborghini blue metallic with a cortez silver hockey stripe. 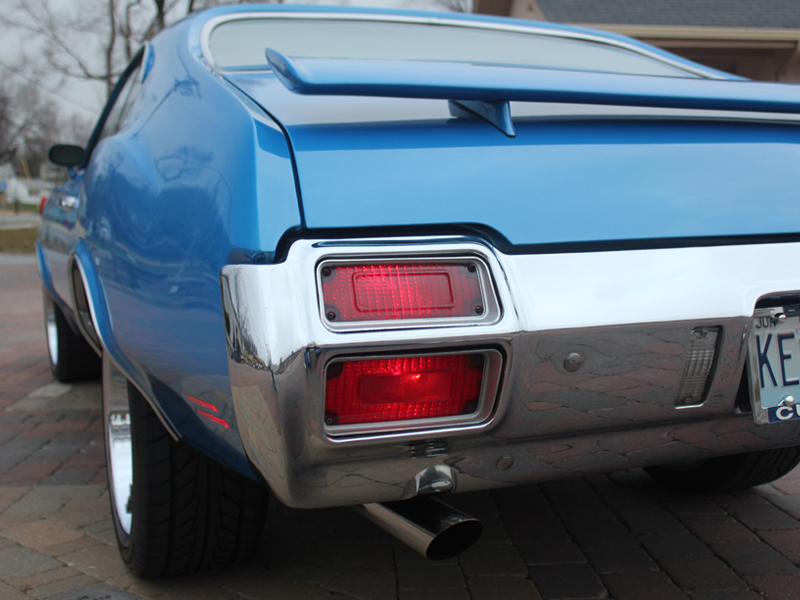 Custom front and rear side marker lights. 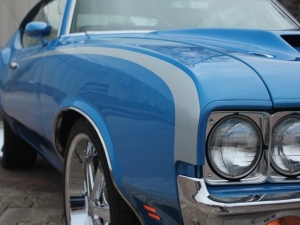 The doors were fabricated to fit the Chrysler 300 door handles. 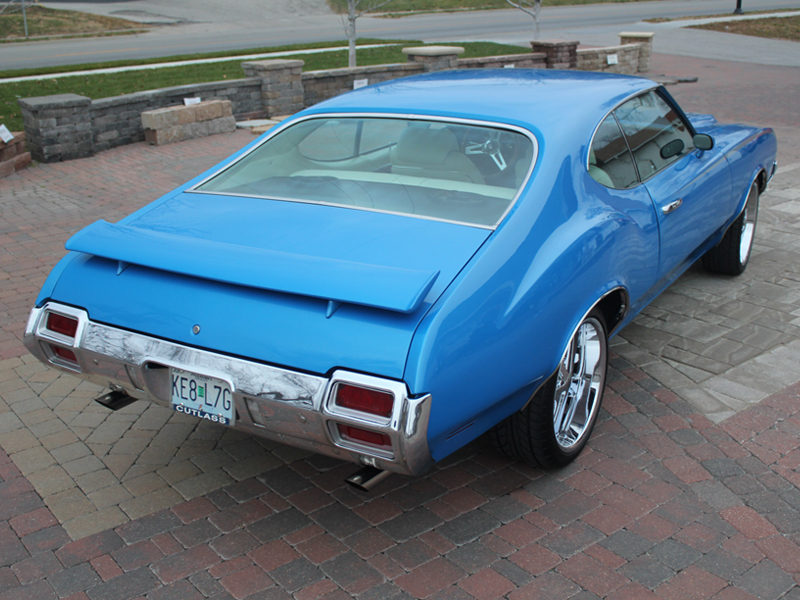 The rear spoiler was lowered 3″s and narrowed 6″s and relocated. 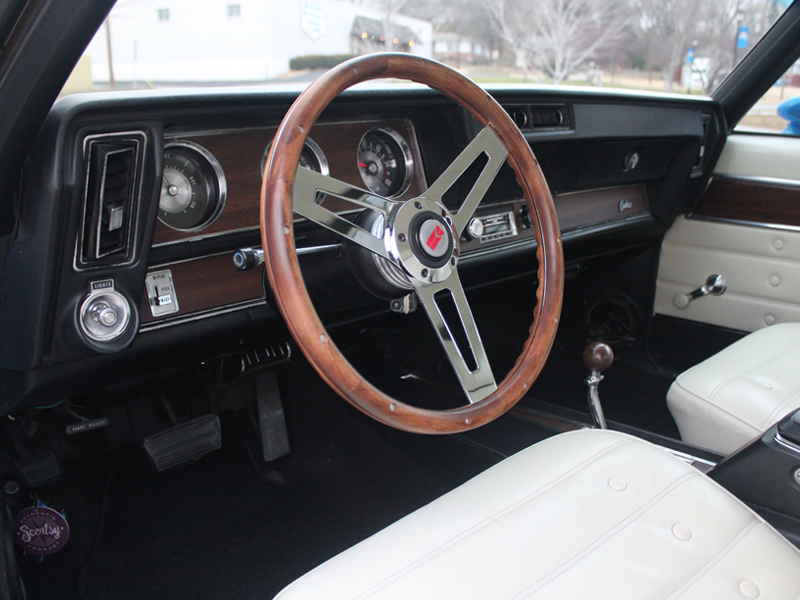 Factory white interior. 350 rocket engine producing 348hp with a slightly upgraded 350 transmission.